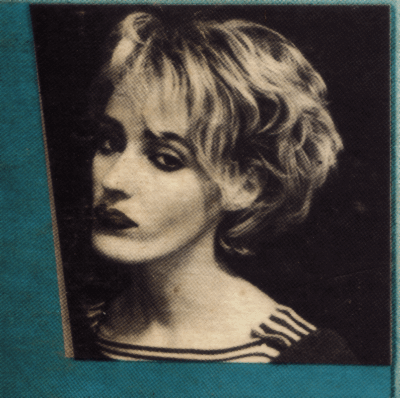 Emerging from the 'Little Bands' scene via Junk Logic, Microfilm was an Avant-garde Post-Punk band featuring the non-nonsensical vocals of Lisa Gerrard, who would later achieve fame by being part of Dead Can Dance with Brendan Perry. 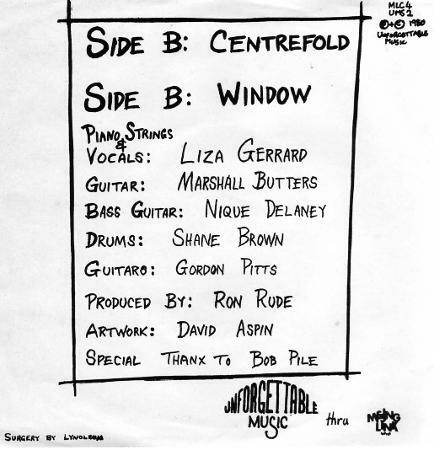 The band released one 7" single in 1980 which was released by Unforgettable Music, a label founded by Melbourne Post-Punk icon Ron Rude, and consisted of the tracks, 'Centrefold' and 'Window'. It was issued individually as well as packaged in the 'Cardboard Box' set along with the two other 7"s in Unforgettable's catalogue - Ron Rude's Piano Piano and The Fabulous Marquises. 'Summer House', another Microfilm track, was included on Rude's 'From Belgrave With Love' compilation (Cleopatra Records 1981). 'Centrefold' can also be found on Chapter Music's 'Can't Stop It' 2 CD. Microfilm line up included: Lisa Gerrard - Piano/Strings/Vocals, Marshall Butters - Guitar, Nique Delaney - Bass, Shane Brown - Drums, Gordon Pitts - Guitars.